We are thrilled to share some exciting news with you! 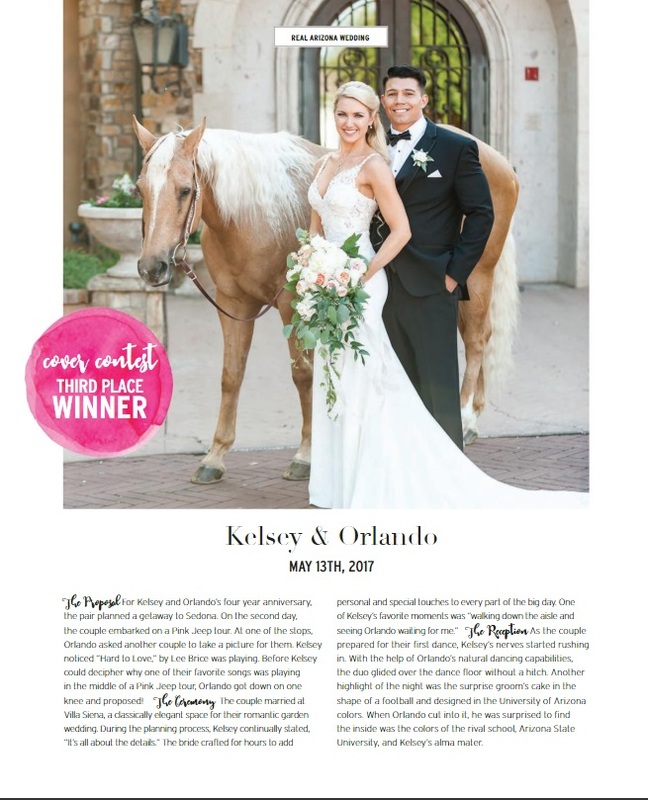 Kelsey & Orlando Vargas were married at Villa Siena on May 13, 2017, and their wedding was recently chosen as the 3rd Place winner of the Arizona Weddings Magazine & Website’s Cover Contest!! 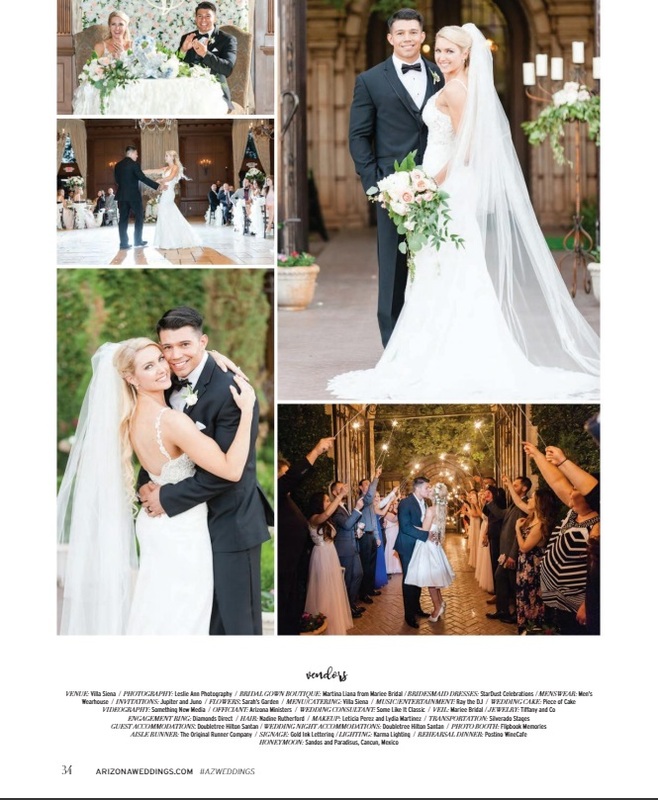 This wedding was an absolute dream… From the soft and elegant florals to all the little details, we feel so lucky to have been a party of this couple’s beautiful day! Comment below to congratulate the stunning bride and groom!